Got a SmartPhone? Know how to press the buttons? Hurrah then you too can start benefitting from some very tasty price boosts from the latest betting app to hit the market, Instabet. 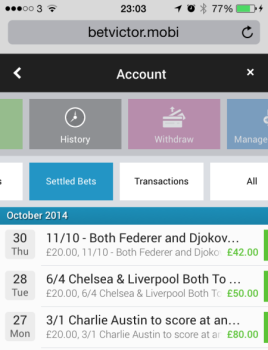 Yes the BetVictor InstaBet App is available now and offers all users exclusive enhanced prices on major sporting events. 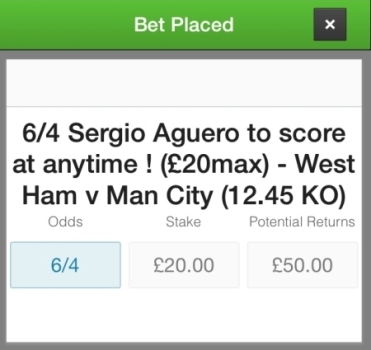 Just fund it through your existing BetVictor account and get exclusive enhanced prices direct on your mobile, The prices will be available for a limited time only but you will be notified automatically when they are put up but you need to have to your bets on before the clock reaches zero! Just look at some of the fantastic price boosts we have picked up recently. Not all winners but all very tasty odds so you can lock in some risk free profits…. 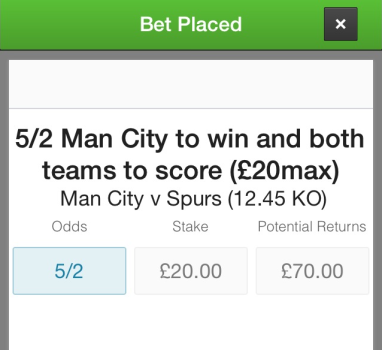 Of course you will be needing a BetVictor account too so if you haven’t got one yet, just click below to grab a free £25 too. Then get the App installed and get ready for those alerts! It’s a boost-tastic Champions League Final this year with bookmakers falling over themselves with offers for the big game. 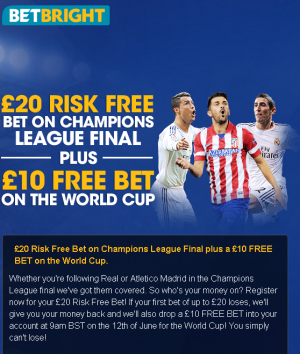 Plus there is some excellent news if you don’t have accounts at any of the bookmakers below as they are offering so cracking new user boosts if you sign up and place a bet on the Final. So take a look for yourself or send to a friend. Either way you will be quids in with these…. If you missed out on the last crazy price boost from bookmaker Betbright then fear not as these chaps have gone even crazier with their next one! 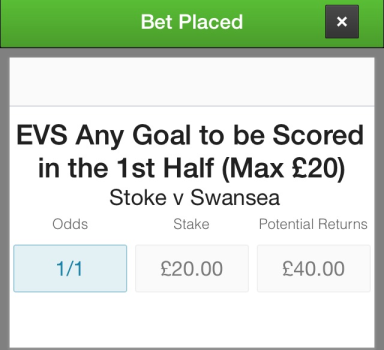 How about EVENS (2.00) about Man City to win the Premier League Title on Sunday! 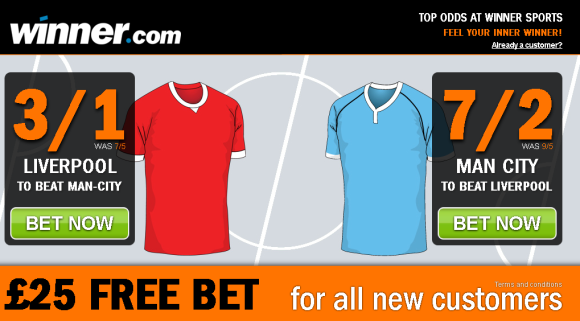 New customers can get Man City @ 1/1 to win the Premier League! Place your bet at the standard price before 3pm 11th May and if City win the league we will boost your winnings to evens. 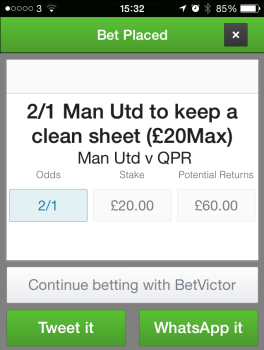 Max stake is £20. Stakes over £20 will have the excess settled at original price. Place bet on Premier League outright market only. Cannot be used with any other offer. Single bets only. Boost price not displayed on site but will be applied 24hrs (max) after settlement. 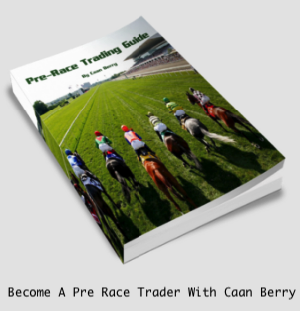 So you even have a great value punt or turn you selection into a very tasty risk free arb opportunity. So get at the double and click below to get started…. Offer only available to new customers who create their account through related online promotional material. Place bet on Premier League outright market only. Users must place their bet before offer closing date of 11/05/2014 at 15:00 to be eligible for the offer. 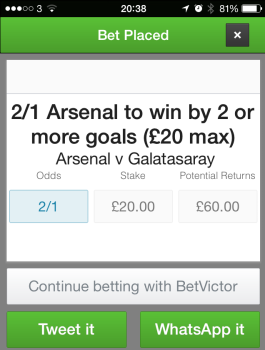 Max stake is £20. Stakes over £20 will have the excess settled at original price. Single bets only. Enhanced price is not displayed on site. Boost will be applied after settlement. Betbright Standard Terms & Conditions apply. Cannot be used in conjunction with any other offer. Bookmaker Winner Sports are at it again with another massive price boost on the big title clash between Liverpool & Man City on Sunday. Not content with boosting one team, these chaps have boosted them both! 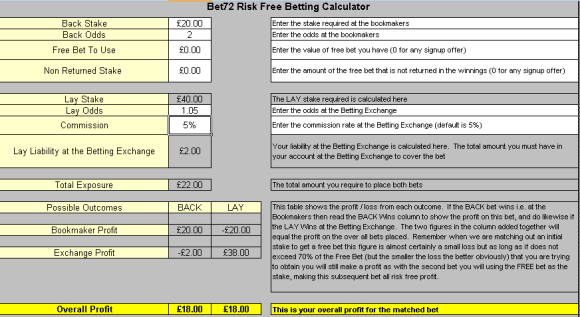 So take your pick Red or Blue & still make a tidy risk free profit. Look…. 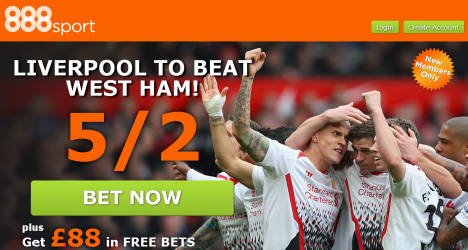 We are giving you 3/1 on Liverpool to win and 7/2 on Man City to win. These boosts are available for new users, as well as a free sign up bet upto £25, so what are you waiting for. 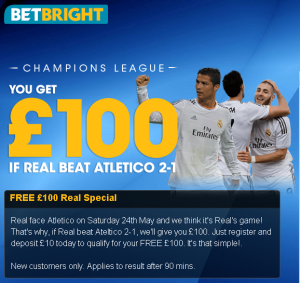 Yes register and deposit right upto to kickoff (13/04/14) and you can grab both offers to make you an instant, well, Winner. A £5.64 profit whatever the outcome. A £2.14 profit whatever the outcome. 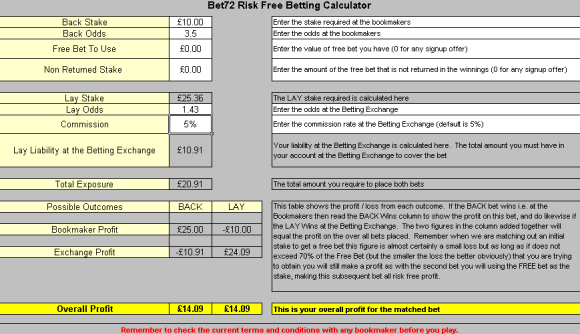 Singles only on match odds markets. Maximum stake at the enhanced odds is £10. • Duplicate accounts do not qualify. Only ‘one new account offer’ per person, household address, email address, debit/credit card number, or IP address is allowed. • Only available to customers in the UK, Ireland and Sweden. Get Real Madrid to win @ 2/1 vs Schalke. Place your bet before kickoff. Single bets only. 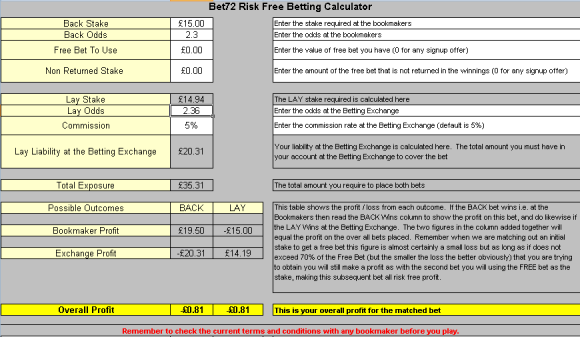 Max stake is £20. 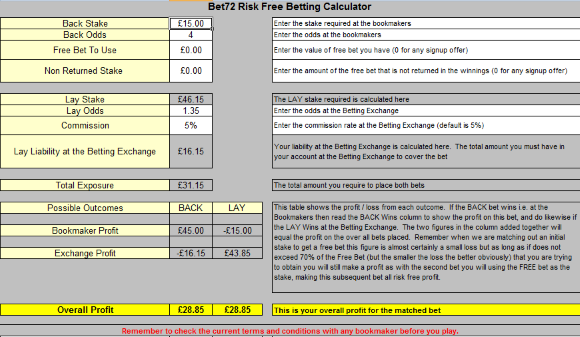 Stakes over £20 will have the excess settled at original price. Cannot be used with any other offer. Boost price not displayed on site but will be applied 24hrs (max) after settlement. Applies to first leg only. 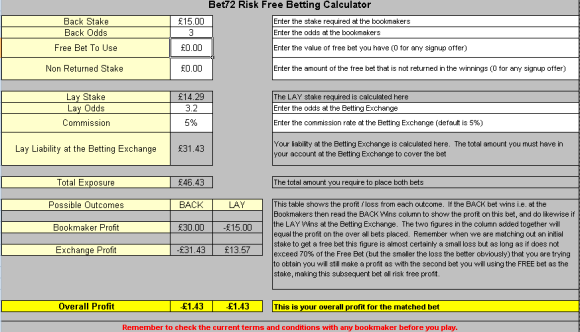 Or to make a little more from this offer you might want check out the Matchbook betting exchange who currently have 0% commission on all their football markets…. Offer only available to new customers who create their account through related online promotional material. 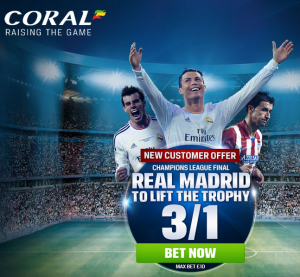 Users must place their bet before offer closing date of 26/02/2014 at 19:45pm to be eligible for the offer. 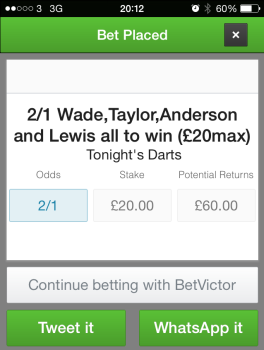 Max stake is £20. 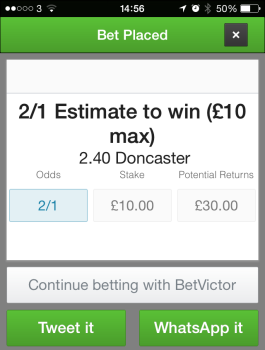 Stakes over £20 will have the excess settled at original price. Single bets only. Enhanced price is not displayed on site. Boost will be applied after settlement. Applies to first leg only. Betbright Standard Terms & Conditions apply. Cannot be used in conjunction with any other offer.